It’s been just over a year since my first blog post (My first African nocturnal visitor) and I thought I’d offer an ear up to hear your thoughts about my blog. What do you like? Not like? Want more of? Want less of? I invite you to take 5 minutes (or less) for 5 questions and fill in the survey. Know that I really appreciate your feedback and thank you in advance for sharing it. As a gesture of thanks, by filling in the survey, you’ll be entered to win a free Life Lenses™ assessment. I can’t wait to hear your feedback. 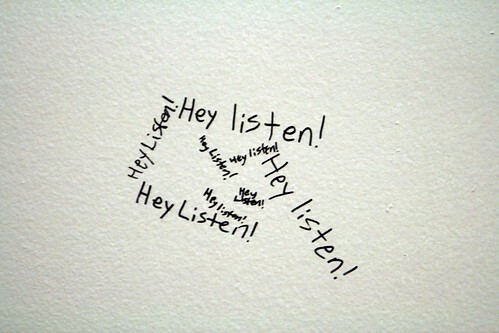 Know that I’m listening, I’m truly listening. I’m paying attention. Truly.